We offer the best residential and commercial moving services in STOUGHTON. Let us handle very aspect of your home or business move. For more than seven decades, our company in Stoughton, Massachusetts has helped individuals, business, and the military relocate. At E.W. Grenon & Son, Inc., we make your move as quick and painless as possible. Whether you are moving your family to a new home or you need commercial relocation for your business, trust the relocation services fo E.W. Grenon & Son, Inc. in Stoughton, MA. Our company is here to serve all your home or business moving needs. Come to us with all of your moving needs and let us handle every aspect of moving your home or business. From packing services to make sure everything is secure to storage services to keep your belongings safe, we are your stop for relocation services. You can trust our professionalism and personal code of conduct to ensure a perfect move, every time. 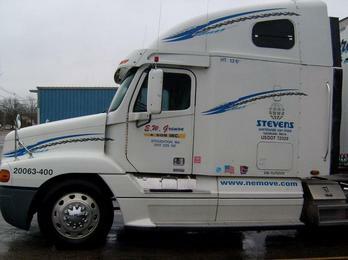 Many of our drivers are background checked and certified through Stevens Worldwide Van Lines. We offer guaranteed delivery.